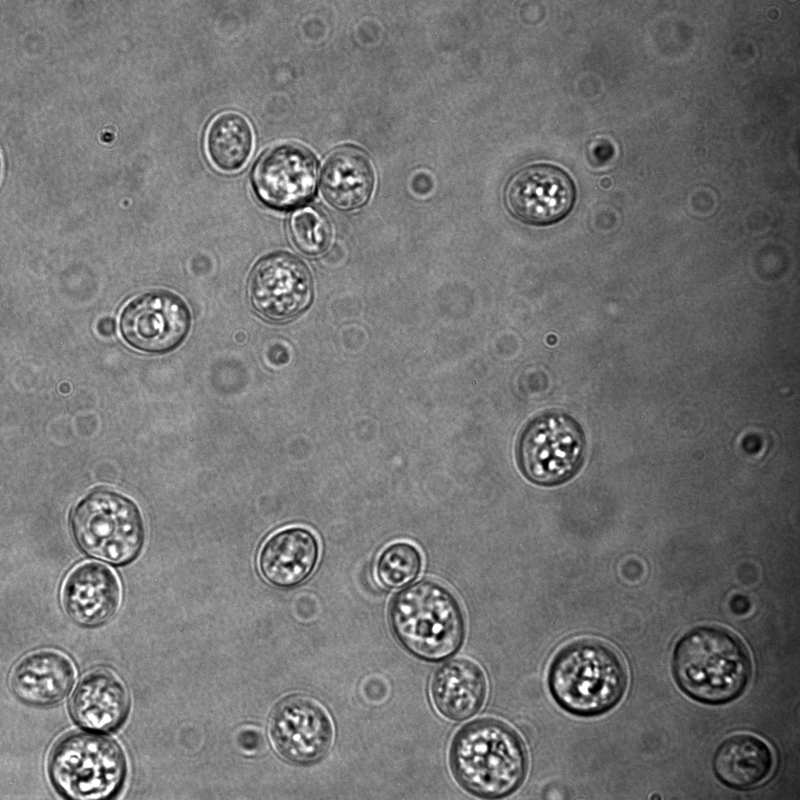 A couple of days ago I put up a post describing the first step in purifying a contaminated yeast culture. In that post I described a simple method (requiring some specialized reagents) which allows a contaminated sample to be depleted of a contaminating bacteria, and also to provide semi-pure cultures of Saccharomyces and Brettanomyces. But as far as that method goes, it doesn’t ensure complete depletion of the contaminants, nor pure cultures of Sacc or Brett. So how do we get a totally pure culture? The answer…streak plating, followed by a quick screen to ensure purity. Making streak plates is a topic I’ve covered before, in the below video. The idea is simple – you use a plate to “dilute out” your yeast sample until you have well separated colonies, each of which arises from a single cell. This now allows you to isolate a pure strain of yeast. You can add antibiotics and other selective agents to the plates, but I actually prefer not to add these compounds – this gives you a chance to confirm that the depletion step worked properly. I didn’t take pictures of the streak plates this time around, but the above video has some nice (and not-so-nice) examples. The next step is pooling the individual colonies, while screening for purity. This can only really be done using a microscope, which is how I did it. You may be wondering why we want to pool multiple colonies if we’re trying to generate a pure strain – wouldn’t you want to pick a single colony, check to make sure its the right organism, and then grow it up? The answer is simple – yeast “strains” are rarely genetically homogeneous, meaning that there is a theoretical possibility that a single pure colony may not have the same flavour profile as the source strain – and moreover, you also risk picking out a mutant that has a vastly different flavour profile if you use only a single colony. While these risks are low, they are easy to deal with by pooling colonies. There are two ways to screen colonies for purity, using a microscope. The most obvious is to suspend each colony in a little bit of water, image a bit of that on the microscope, and then mix together those that are good. But that’s a lot of work – especially if you follow my general “rule” of using at least 20 pooled colonies when deriving a “pure” strain. To accelerate things I typically mix 5-10 colonies together and image – the exact number I mix depends on the number available; if there is only a few (20-30) colonies on the plate I’ll only mix 5 together; but when more colonies are available I’ll mix them together in larger pools. I’m generally aiming for a final blend of at least 20 colonies per “pure” strain. If one of the colonies in a pool is not what I’m looking for, I simply toss that pool. Mixed 1:5 to 1:10, any undesired yeast/bacteria will be very obvious under the microscope, ensuring a good clean culture. That said, there is generally, there is less than 1% contamination after the “step 1” depletion of the unwanted bacteria & yeasts, and there is typically 50-60 colonies on a streak plate, meaning that it is exceedingly rare to get a non-pure pool. ~1% of yeast were Brett, so this pool was discarded. yeast were observed, so this pool was kept. We have a small number of yeast at this point, so a small amount need to be grown prior to depositing in my yeast bank. 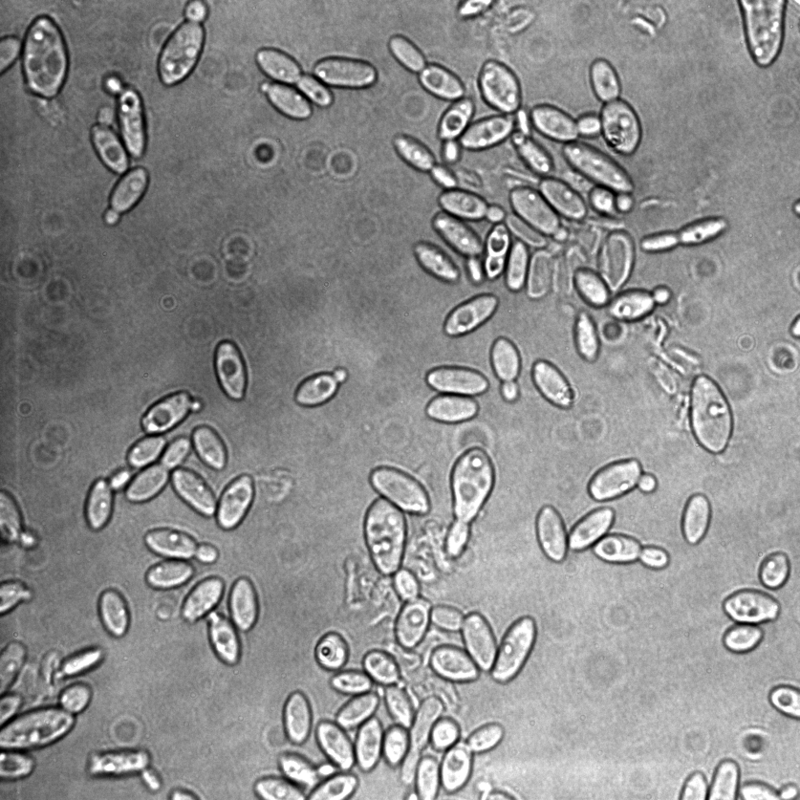 I will generally grow 7 ml cultures at this point, without the selective agents (antibiotics/etc), and freeze the resulting yeasts – after confirming (again) that it is clean by microscopy. By not using antibiotics at this stage you confirm that the sample is truly clean, and does not contain bacteria forced into dormancy by the antibiotics. In samples like the one I’ve purified here, I want both the pure strains and the original Saccharomyces and Brettanomyces blend used to make the source beer. Typically, to do this I will grow 2 liquid cultures of the Sacc – the first I freeze as a pure strain, and to the second I add ~1:10 Brett, which I pull from the pure tube of cultured Brett. The remainder of the Brett I freeze as a pure culture.